If your Outlook Express toolbar has disappeared, the following steps will get it back for you. ConnectNC customers might need to send email messages from other network providers. In order to do this, one is required to send using authentication. This helps us to eliminate attempts from spammers to use our mail server to send out junk mail. 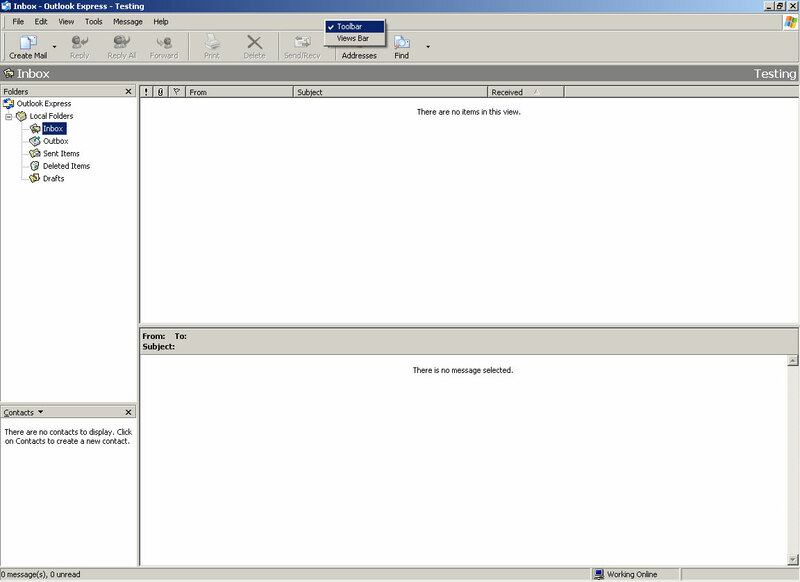 Open Outlook Express and click on “Tools” and then “Accounts” in the menu. Click the “Settings” button and just make sure the username and password are the same as your incoming mail server.